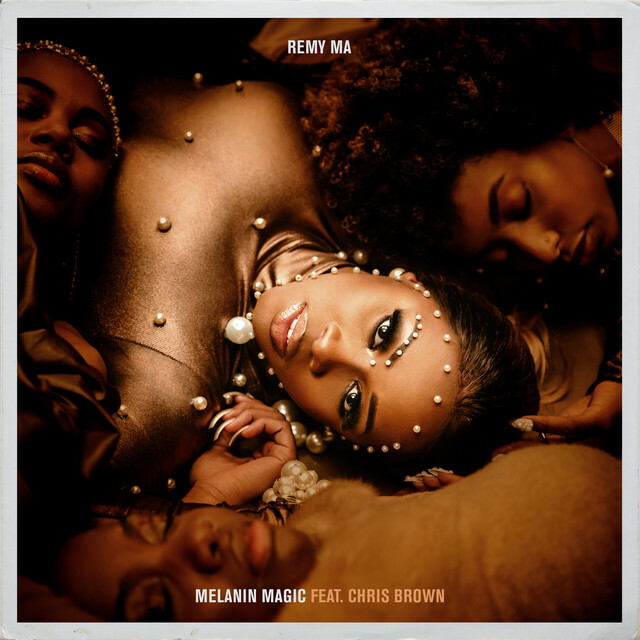 Remy Ma and Chris Brown celebrate black skin beauty on their highly anticipated collaboration Melanin Magic. On the track Reminisce compares her body to that of a Cinnamon, while Chris Brown swoops in supplying the chorus and a verse. "You're my pretty brown eyes/They all on ya and they want you," he sings. "I know they need you in they life/But you my vibe tonight and I love you." The song which samples Mint Condition's "Breakin' My Heart (Pretty Brown Eyes)" is the second single off the ShEther rapper's upcoming album "7 Winters & 6 Summers" due out sometime this year. The single follows her lead single Wake Me Up featuring Lil Kim.